In rural Canada, mailboxes hold a particular charm. Whether they're decorated to reflect the homeowner's eclectic tastes, or being batted to the ground by tipsy teens desperate for entertainment, the individual mailbox has provided a splash of colour to the background of Canada's self-portrait. And yet, when they were introduced, they decimated another beloved institution of early Canada: the rural post office. At the turn of the 20th century, there was about one post office for every 5,000 Canadians. But in 1908, the Canadian government started free rural home delivery and many post offices, then considered the hub and heart of many communities, closed. In the October/November 1989 issue of Canadian Geographic, the husband-and-wife writing team of Ken and Julie Sobel delved into Ontario's small-town post office scene. Reporting from Dunvegan, they wrote: "There's no corner store, no chip wagon, not even a video outlet. The post office is the last bit of glue holding this century-old community of roughly 100 residents together. Not everyone attends church, many go somewhere else for haircuts, but everyone receives mail." At the time, Canada Post was already examining cost-cutting options. Today, the federal department is a changed entity. Thanks to the Internet, letter mail has slowed to crawl; yet, on the flip side, the rise of online shopping and demand for speedy parcel delivery might just be Canada Post's salvation. The service-to-all postal system we enjoy today came into existence in Britain in the 1840s. It proved to be an idea whose time had come, and the establishing of postal service soon became a primary function of the 19th-century governments all over Europe and in North America. In Canada, considerable effort went into the creation of a network of rural post offices across the country, some so remote the postal inspectors had trouble finding them. On the Prairies they were often placed in grain elevator sheds which were spaced at intervals of about 10 miles, the distance a fully loaded horse-and-grain wagon could comfortably travel in a one-day round trip. Those early post offices were not necessarily reliable, though, as opening hours could change depending on the weather, train schedules and the mood of the current postmaster. Yet, when replaced by rural route service, many small communities angrily mourned the death of their local post office (the Sobels posit, however, that many rural residents likely enjoyed the convenience of picking up their mail at the end of the driveway). 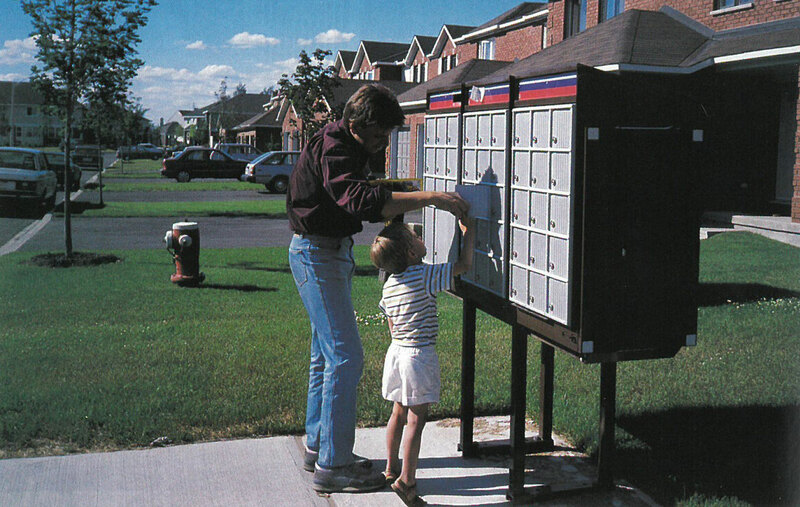 Nowadays, the trend toward individual mail service seems to have reversed, and Canada Post has been experimenting with community mailboxes. Despite a 1994 moratorium on closing rural post offices, Canada Post has shut down more than 1,700 rural post offices since the 1980s. To some, it's "another nail in the coffin of rural Canada" and is a symbol of the erosion of traditional ways of life. 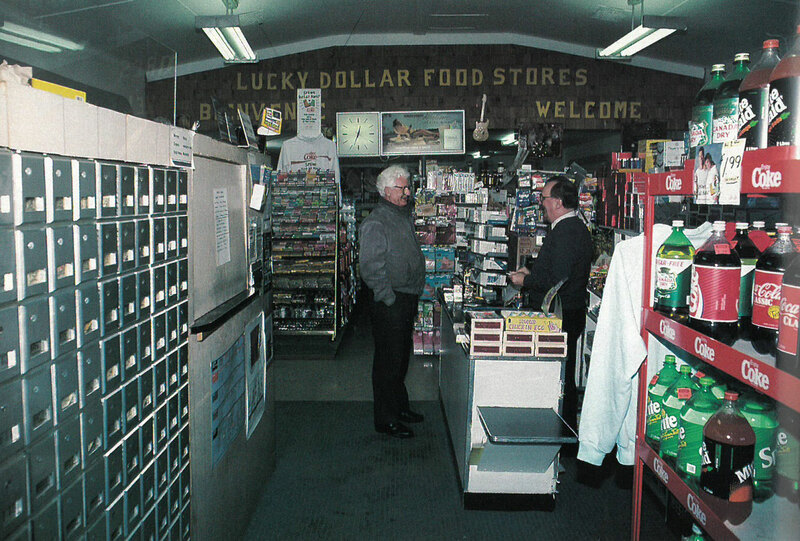 As one store customer quoted in the Sobels 1989 piece notes wistfully, the small local post office is "the only way we know we're still in Canada."